When you think about a piece of equipment like a mixed signal oscilloscope you usually think of, well, a piece of equipment. What you probably don't *imagine is a DIP package. 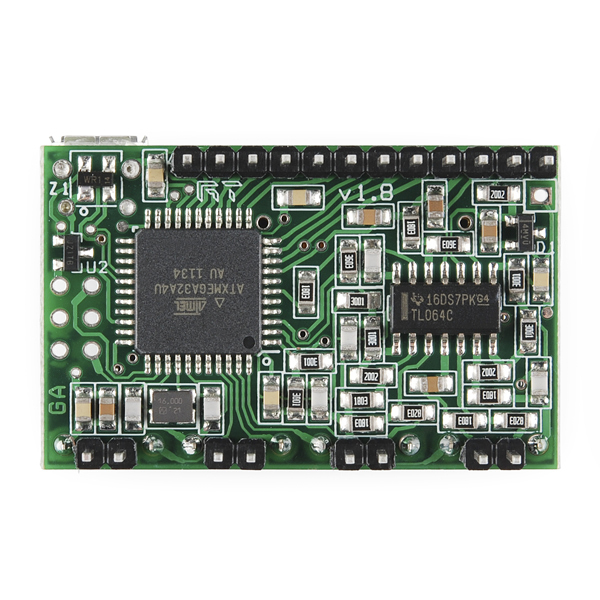 The XMEGA Xprotolab is exactly that: The first ever mixed signal oscilloscope, logic analyzer and arbitrary waveform generator in a DIP module. At only 1 x 1.6 inches, this oscilloscope can be plugged *directly into a breadboard. 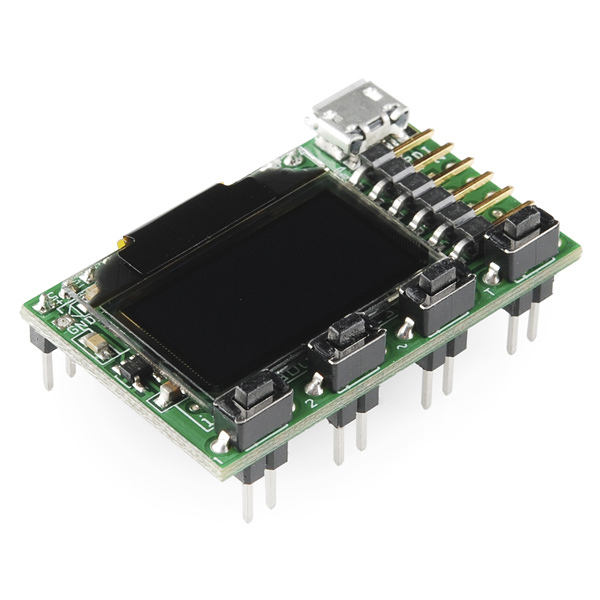 The on-board graphic OLED matrix can display waveforms, measurements and menu systems. You can also connect it to your PC and use Gabotronics' XScopes software to control the device and view waveforms. The scope itself obviously allows simultaneous sampling of analog and digital signals but also has several advanced trigger modes, XY mode for plotting Lissajous patterns, phase differences or V/I curves, Spectrum Analyzer with different windowing options and even an arbitrary waveform generator with sweep on all parameters. 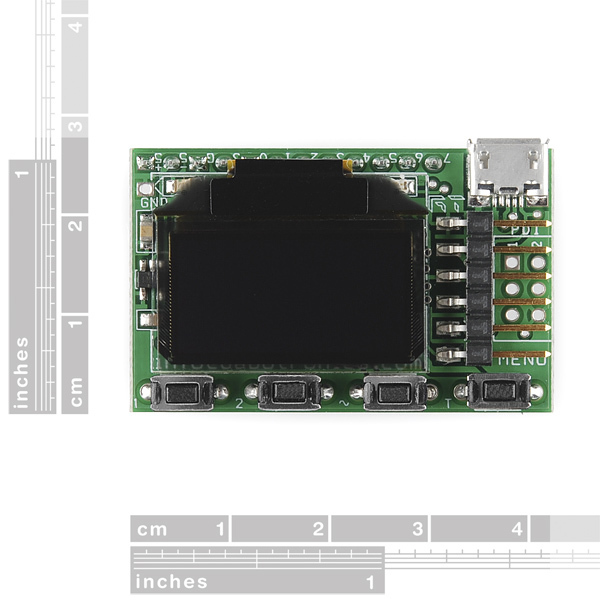 The awesome functionality-to-size ratio is due, in part, to the ATXMEGA32A4U microcontroller on board. 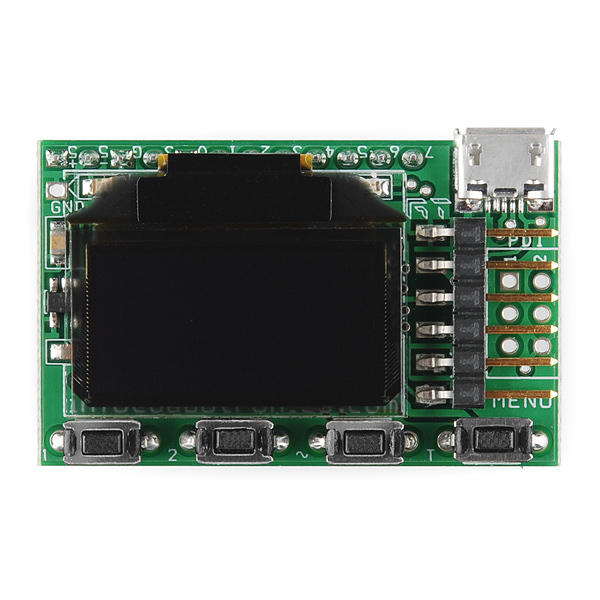 We can hear you thinking, "This board has an ATXMEGA32A4U, an OLED display and USB interface? Scope or no scope, this would be a great development board!" Well Gabotronics had the same thought and installed a USB bootloader so there's no need for specialized programming tools! Internal pull up or pull down. I got one of these a few months back, lovely machines. Be careful, though, I killed it by accidentally shorting out the DC pump inverter . Replacing that component and recalibrating fixed it, but I got nervous about accidental shorts, so I ended up potting it in sugru. I now have a red one and a yellow one with nice rubberised finishes. Can you show pics of the Sugru job? I'm always paranoid of exposed circuits. I was thinking about Sugru or a carving a case out of a block of a acrylic on my mini-mill. Nothing too pro, just wanted to make sure everything was covered. Could you post a photo of the board on a breadboard? Could be useful for displaying the size in a more intuitive way. Sweet! I suggested stocking these a few months ago - thanks! Really neat device, though this looks like a more updated version of what I have. I, too, suggested this beast in an email to Nate dated 3/11/2011. At this rate, SparkFun should be carrying the lightning detector chip I also recommended some time in 2014! I find It humorous that they're now offering this $49 cutie only a week and a half after I finally broke down and ordered a bigger scope from Saelig. I might still grab one of these as I think it would be delicious built into an electric guitar stomp box for visual display of signal processing adjustments & etc. This coming year? How cool is that! Living in Tulsa, I've been wanting to add lightning sensors to my weather station gear. Can't wait! Which coming year, don't you know the world is about to end???!!! You read the data but you don't really understand until it is right in front of you. It is small but awesome. I can't believe the functionality and quality. This will be a mainstay in working on my projects. I plan to buy an Xminilab also. You guys really out to stock them too, as I prefer to buy from a constant source. Great find and a good job on the video that convinced me to invest in it. Any plans to eventually stock the hand-held version after they are out of development? I have one coming already from the Kickstart, but I am sure its something more people would be interested in. Yeah, just one tiny problem - 256 samples? Going to be pretty hard to get any decent troubleshooting info from that in a lot of cases. I don't really get what this is; it would be helpful to see a video of it in action. The bulleted description outlines exactly what it is: logic analyzer, oscilloscope, and AWG. Love it! Love it! Love it! Love it! It's an oscilloscope. It fits into your breadboard. Just take a moment to let that sink in... I bought this little thing for audio projects, and I am truly amazed at the features it has. Wave generator, oscilloscope, spectrum analysis, logic analysis, ... - you name it; it has it all. Even though the display might seem small, it makes up for that with the clarity it provides. One feature I'd like to see on this device in the future though is the ability to display a response curve. However it is possible to upload new firmware, so I'm pretty sure we'll be seeing this feature some time. Even if you don't need this - BUY IT! This is the single best tool I've purchased for digital circuit development. It makes debugging I2C and SPI communications trivial, and has relieved head-scratch-itis on multiple occasions. I wouldn't want to do digital design without it. Edit: Don't know why it says 4 stars, I wanted to give it 5 and can't seem to change it! Edit again: ...and Sparkfun doesn't seem to understand how their website works, and can't change it for me. I apologize to Gabotronics -- this product really does deserve 5 stars!